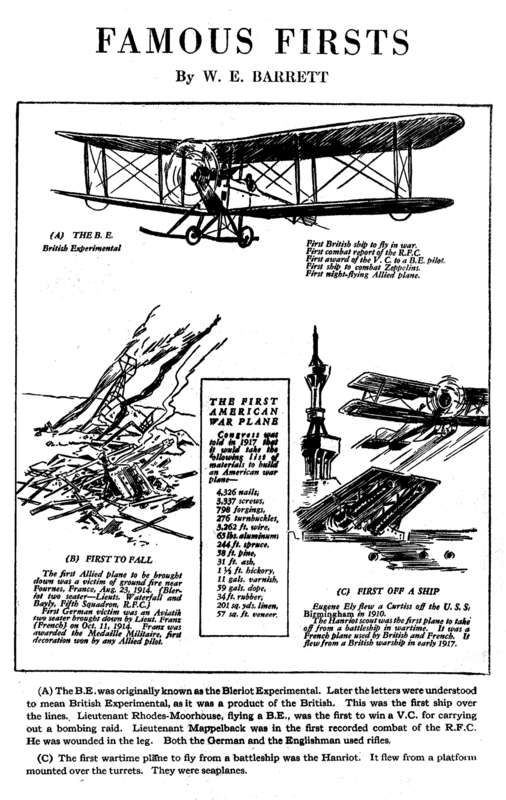 The October 1931 installment, from the pages of War Aces, features Major General F.P. Lahm, The Sopwith Camel, and Captain William G. Schauffer! Next Wednesday Barrett features airplane firsts—The British Experimental, The First plane to take off from a ship as well as the first to fall during the war! 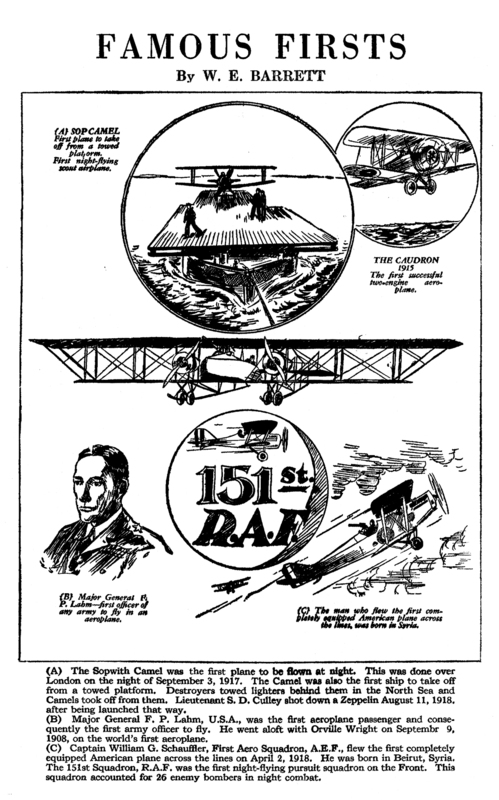 The August 1931 installment, from the pages of War Aces, features Lt. Roland Garros, The Henri Farman plane, and the Short Seaplane! Next Wednesday Barrett features Major General F.P. 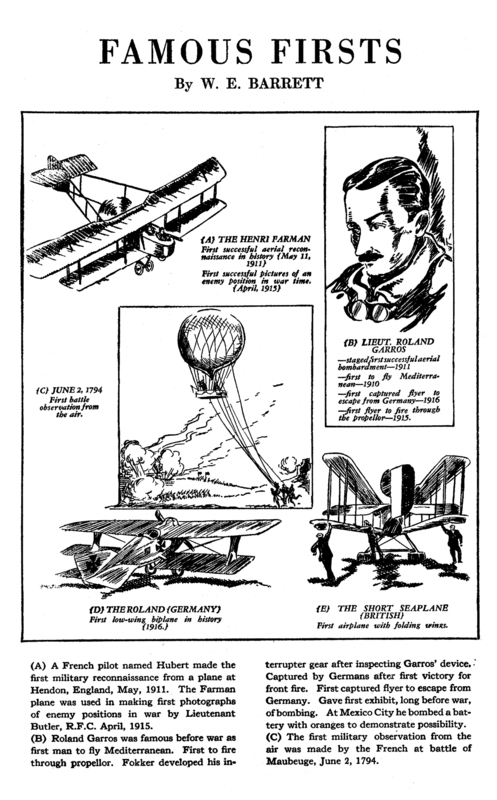 Lahm, The Sopwith Camel, and Captain William G. Schauffer!